The Leatherman Tool Juice C2 is an extremely handy little devil with all new textured anodized aluminum handles - now available in both Granite and Sunrise. 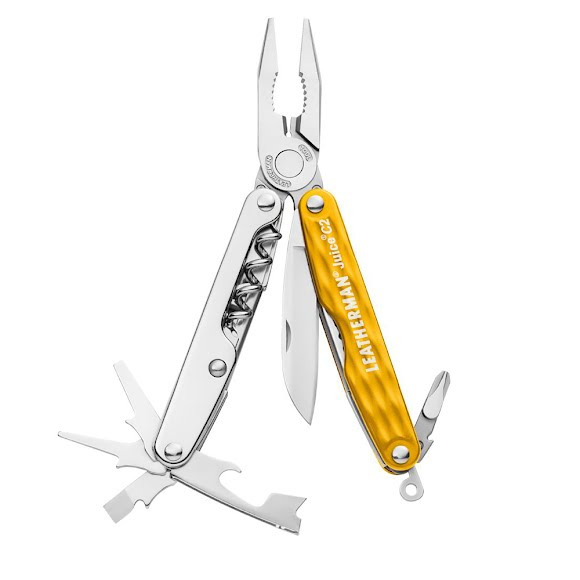 A true Leatherman, the C2 is well equipped with pliers, wire cutters, and four screwdrivers. The Juice C2 is the slimmest of the Juice models, but still has a corkscrew, so even those who travel lightest can enjoy the finer things in life.